Mommy Moments with Abby, Mom Does Reviews, Powered By Mom,Mom Blog Society and Mommy and Baby Reviews and Giveaways are giving you the opportunity to win The Hunger Games Trilogy Hardcover Book Set! That's right One winner will get all Three of Suzanne Collins Best Selling Books!! Nursery Paint that grows with you! I was trying to decide how to paint my son's room. I wanted it to be boy coloring, but didn't want it to be too directional in any one way. I don't know yet what sport he will play, if he will be into animals, or if he will be a techi-kid. In the end I settled on a pretty boring color and decided on an accent wall. I wanted it to be more though since I was choosing such a traditional color. I got my idea from some of the houses we had looked at when we were house hunting. Shadow stripping would be my accent walls best friend! It works in a kids room and looks great in a study, perfect for a growing child! I think it turned out pretty good! We usually try to get out to the riparian area this time of year if we don't go on a hike somewhere or have an event to review on the weekends. We made it out to the riparian area and somehow our trip to find the migrating birds ended up as a reminder that not everyone should have a pet. 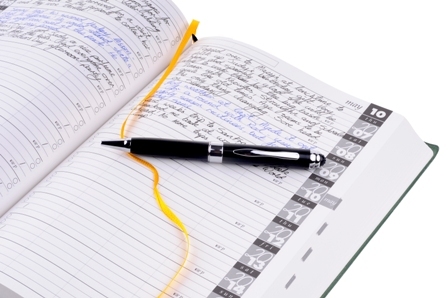 Are you ready to start you week off next week with a little cash in your pocket? Enter to win our Cash Flash Weekend Giveaway! What woman doesn't like jewelry. No matter if you are a one piece at a time kind of girl, function only pieces, or the more the merrier, we all love a little accessory to add something to our day and outfit. Lucky for me, my blog friends feel the same and one was able to review some earrings. Not only do we get to see their review of the earrings, but we get a chance at their giveaway! 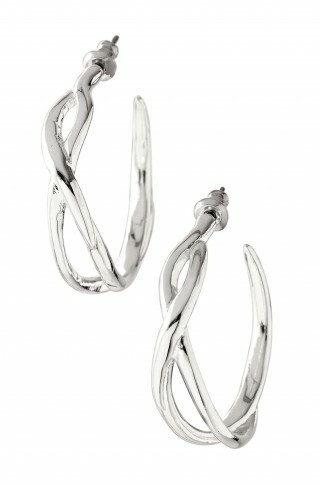 Check out the review of Odette Hoops. We have a lot that we do during the day, diapers, dancing, yoga, numbers, alphabet, language, eating, reading, playing outside, craft, and a bunch of little things throughout the day. Sometimes we need to see the beauty in the world around us and slow down. Other times we need to add a little something too it! How many of you have to get up go to the door open it, wait, wait, wait, open it back up, close it and then go about what you were doing to start with before the cat needed out? Dilemma number two, you get a cat door and now you have unwanted visitors in the form of other peoples or stray cats coming in to eat the left over or recently filled dish of food and/or water? Either way, it's not fun! So, why not take being a responsible cat owner and functioning person and combine them both. Just because they have fur, doesn't mean they aren't your baby! How do you know when a pet isn't just a pet, but another child? Well, I have always called my fur-babies, my fur-babies because that's what they are to me. Ever so often I catch sight of something that validates this in my head. Like one of my fur-babies falling asleep on a couch with a teddy bear that sings lullabies. I love these furry little/big ones of mine! They always love it when you are home, never give you space because they love you so, and are always up for play and exercise! As a mom I can never have enough comfy shoes to run after the kids in, as a daycare provider I never seem to have enough comfy shoes to run after the kids in with the wear and tear I put on them! I love that some of my fellow Mom Bloggers are able to offer their opinions on a potential great Mom shoe plus let us share in their giveaways! Check out what my blog friend Powered by Mom has to say! My friend over at Emptynester Reviews & Giveaways and I have combed our GIVEAWAYS to give you a chance to win a pair of DAWGS shoes from both of us! Emptynester is giving away a pair of DAWGS flip flops. You only have to enter on 1 Rafflecopter for your chance to win a pair of Rubber Soled Flip Flops ($30 value) or a pair of Women's Spirit shoes ($50)! Go HERE to read Emptynester's review on the flip flops and my review and rafflecopter are below. The DAWGS Brand footwear label quickly became a leader in the shoe industry's evolution towards new comfort. 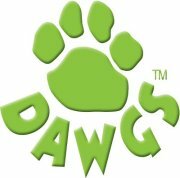 DAWGS Brand's mission has and continues to bring a Foot's Best Friend to more and more happy people every day. They have flip flops, sandals, shoes, boots and more! From everything that I've seen and felt wearing these shoes I would agree with all of those points. Overall it's a nice lightweight, casual shoe that you don't have to worry about getting dirty especially if you get the white ones like me. Now mind you there's probably a limit to that but they survived my digging in the garden so they've done well. Powered by Mom gives the Spirit DAWGS shoes a two thumbs up. My thanks to the following blogs for helping to promote this DAWGS giveaway and review. Mommy Moments with Abby found this great giveaway for her blogger friends to offer to their readers and for her readers to get a chance to win!!!!!! The What A Woman Wants Giveaway Event is a free blogger event. You will receive one link at no cost as a thank you for participating in this event. cash to fill it with! signup or like required, example picket fence). G+ is not allowed as it is against google rules. Referral prize: The two bloggers who refer the most people will receive a $10 Amazon e-code for your effort. Just make sure to add on your announcement that they should add your blog name or url in the referred by section on the signup form. This bonus will be paid the on or before May 11th after your referral links have been verified. When you become a mom you realize you will be a primary mold in every aspect of their life. You know that you will do everything you can to make sure that you offer them the best chances for success in life. I find it funny how then a little moment that we think to ourselves, how cute ends up reminding us of our responsibility as parents. The other night my daughter and son were playing in the closet when they decided to start putting on our shoes. My daughter has always loved shoes and some days we change her shoes 3 times depending on her shoe mood. She loves to pick out my shoes even if I can't really wear the heels on a hike, that she is trying to help is fun to watch. So, when she started putting on my shoes and walking around other than thinking wow she is really good at that, I realized that I'm literally raising this little girl to grow up to fill my shoes, both literally and figuratively. 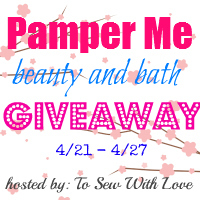 To Sew With Love and Mommy Moments with Abby have joined forces to bring you this fabulous giveaway featuring handmade products just meant to pamper yourself! Everyone one needs to pamper themselves sometimes and we are giving you the tools to make it happen! Do you need some extra cash? How about starting the week off winning some! Check out this awesome Cash Flash Giveaway only open this weekend! I found this article on Mom Blog Society about a new burglary trend and it seems like something all us moms should read. Its about something called Burglary Bumping? Have you heard of it? It sounds pretty simple and something I wouldn't have thought about, I mean I have locks so I should be safe right? I love exposing the kids to knew things, the fact that I love olives and wine is just a bonus. So, when the hubby sent me a link to the Olive Festival, my first thought was I have the best hubby ever (he isn't a fan of olives or wine) and my second was what a fun thing to do outside with the kids. We planned for the afternoon on Sunday to head out after naps and got there at the end. The kids still had a blast and I still got to do a little shopping! 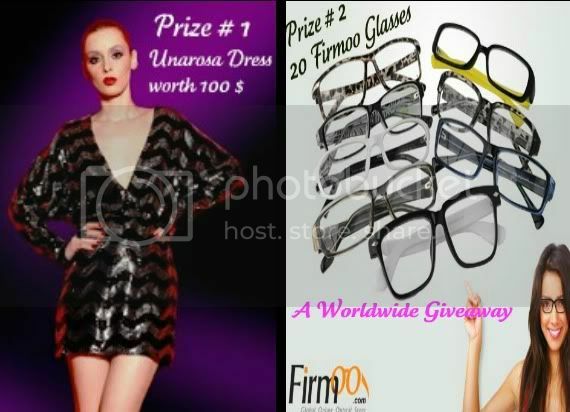 **HOT SUMMER FASHION GIVEAWAY**OPEN WORLDWIDE**FREE SHIPPING** Starts April 20 ( 12:01 am ) EST - Ends May 4 (12:01 am) EST You can win Firmoo Glasses or a Unarosa Dress!!! Who doesn't need a new camera? Lets face it everyone needs a camera. Whether you are taking pictures of you kids recital or the basketball game you got court side tickets for. In the world where Smart phones have taken over, sometimes they just don't cut it. They take too long to snap the picture and you missed the surprised face when your child opened that unexpected gift they asked for 1,000 times. Well we want to make sure you never miss another photo chance again. Dawgs Guest Review and Giveaway! We have been lucky enough to get a guest shoe review and giveaway!! I love shoes and believe you can never have enough! Since, I am a mom who runs a daycare being on my feet all day and often all evening means I think about what goes on them a lot! I will stop the suspense and let you check out this review and giveaway! Is their a fit life after kids? For some of us, there is a struggle to have a fit life after kids. I have been lucky enough to after two kids be smaller than when I first got pregnant but that doesn't mean I'm in as good shape health wise. I needed a kid in the bottom to motivate me to get back into the healthy mind frame. A little guidance on just how to do that never hurt either. I don't just feed the kids at my house! I recently have become obsessed with growing a garden. We finally have grass growing, which is an achievement from dirt in Arizona (thank you hubby). Our citrus trees are finally coming back and producing good amounts of fruits. Now, I have to find something to pretty up the place that will actually grow in this heat and this dirt! I thought picking a paint color was hard! Recently I found a few minutes where I could actually decorate my daughters room. I had all her nursery stuff, but needed to decided how to decorate the walls and where to hang it all. When they are babies so they tend to not notice if something is up and when you run a daycare by the end of the day you just want to crash. The time came however for me to start looking at the walls. The hubby approved a paint budget and off I went. I love being a mom, even if their are times when it is stressful and I need a break, at the end of the day I would never feel whole again if I didn't have my little one's running about! Because of this and others in my life who have felt the struggles of wanting to be a mom I like to help other bloggers promote their giveaways for conceiving tools and talk about infertility. Infertility can mean so many different things and some of them can be helped with help from others like you or me. One way we can help is by donating eggs! 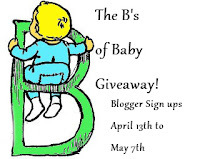 The B's of Baby Giveaway Blogger Sign up! B’s of Baby Giveaway co-hosted by Mom and Baby Events and Mommy Moments with Abby. We have a list of sponsor and prizes and hope to add more plus a good sized Walmart Gift Card! The giveaway will run from May 9th to June 6th. The prizes are all about the B's of Babies! From Bump to Bump loss we have a little of everything for this event! Check out our prizes and sign up to be a part of this giveaway with us! Yeah for Powered by Mom who is pleased to bring you another wonderful giveaway, Mommy Moments with Abby is lucky to have blog friends like this who offer to share their giveaways with you, my readers! A Fashion Giveaway Blogger Sign up! Here is a great fashion opportunity for those bloggers out their with a keen sense of what looks good! There are two prizes for your readers win! 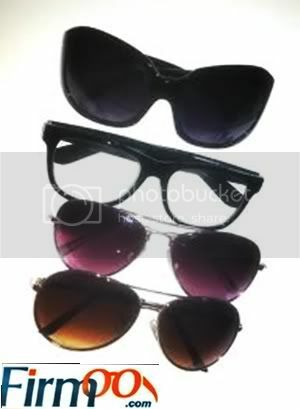 A Unarosa dress and 20 Firmoo Glasses! The giveaway will start April 20th and end May 4th. If you are inteterested in offering this Worldwide Giveaway to your readers and fans then sign up now! Today's world is a tough one. Kids need more skills for them to succeed in the vastly melding world. As mothers we have to have a constant eye on what they are learning and how well they are achieving the skills they will need later in life. We will need to do what we can as parents to help our children grow. One area the kids will need to have vast knowledge in is languages. The business world has been international for a while now and it will only become more webbed as time goes on. So, where does a non-bilingual mom start when addressing learning languages? Why not with a book and the basics? Couponer's Corner's 1K FB Fan Giveaway! Mommy Moments with Abby loves Celebrating good times! Reaching your first 1K Fans is good times! So, we are celebrating with our blog friend Couponer's Corner in their first 1K FB Fans with a giveaway! Who wants to win some money? Weekend Cash Flash Giveaway! Whose ready to win money? Mommy Moments with Abby has once again partnered with her blog buddies to offer our readers a chance at some paypal cash! Who couldn't use a little extra in their pocket right now? We appreciate the comments and views you give us and this is our way of giving back to you! So, enter to win and thank you for being a Mommy Moments with Abby Follower! Who likes to win money? How about $200.00? Sounds good to me, but we are giving you a chance to put some cash in your pocket before the summer months hit! Check out our Rainy Day Facebook Frenzy!!!!! Madame Deals 3rd Birthday Coach Bag Giveaway! Do you dream of designer bags? I do. I love them and for Madame Deals 3rd Birthday I decided to give one away with a couple of my friends. I would like to thank my friends Dawn at Slop Swap and Heather at Body Wrap Tips for helping me put this all together. If you know anything about me, I am a huge advocate for people with Autism so it is only fitting that this event is also brought to you by Autism United. Ready to WIN this gorgeous Coach Purse?! 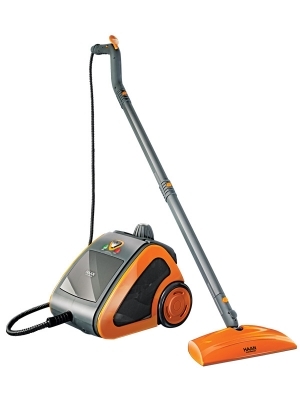 HAAN Steam Cleaner Giveaway and Guest Review! HAAN COMPLETE: Experience Steam. Discover Clean! You readers are so lucky! A blog friend of mine was lucky enough to review a HAAN cleaner and offered the Review and Giveaway for me to post for my readers! I run a daycare and am totally jealous that you guys get a chance to win this prize! I do feel blessed to have a blog friend willing to offer you the chance to win one for me. So here is a little more about the product, the review by Mom Does Reviews, and your chance to win a HAAN Steam Cleaner!!!! Mom Does Reviews, Powered By Mom and Mommy and Baby Reviews and Giveaways are giving you the opportunity to let your readers win The Hunger Games Trilogy Hardcover Book Set! One winner will get all Three of Suzanne Collins Best Selling Books! Howard B. Wigglebottom Guest Book Review and Giveaway! Powered by Mom and Bloggity Blog have teamed up to bring you a wonderful Giveaway! How awesome is this! We get not only one shot at a great kids book, but two! If you are a parent, teacher, babysitter, coach, or anyone who deals with kids books are your best friend and way to calm/teach/spend time with your kid! My philosophy is you can never have too many books and when they have life lessons, well I get so excited I could spit! (But I won't it isn't good manners). Without further review here is Powered by Mom's review and then the chance to win! As you know I have 3 furbabies that I love and are definately a part of our family. I was thrilled when a fellow blogger told me about a review they had done on Love Your Breed Products! They offered to share it with us along with a chance at the giveaway! 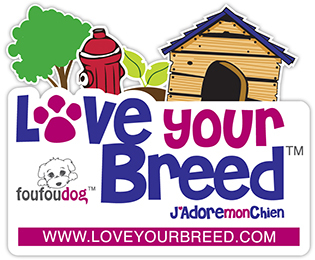 Check out what Mom Does Reviews had to say about Love Your Breed.